If you have been to France before, traveled to some other countries or are planning a coming trip, then you might know that each country has it’s own habits about food. Here are 6 tips that will save your life if you travel to France especially if you are a foodie or if you just simply need to eat food like every human. The most important rule is that there is a time to eat lunch and dinner! 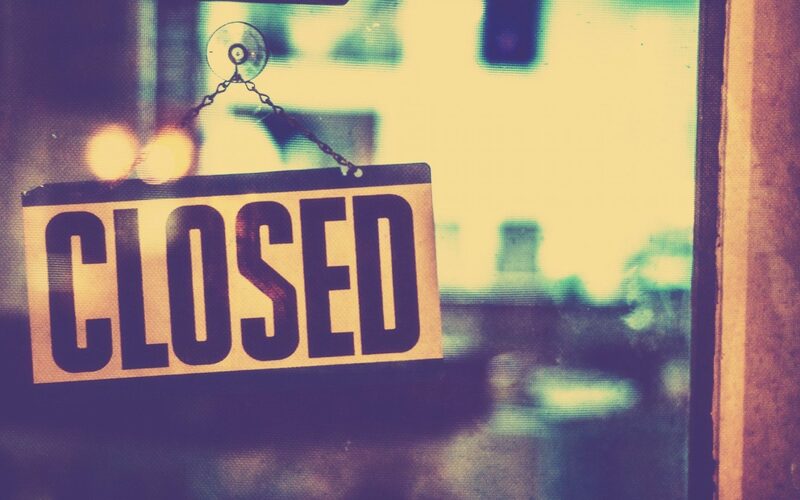 Restaurants are closed in between, so you better not miss it or you will have to go to a bakery and eat a bunch of French pastries! (That’s not too bad actually) Opening time: restaurants are usually open between noon to 2pm and 7pm to 11pm. The second most important rule is how you act when you enter the restaurant. Greetings and manners are very important to the French. 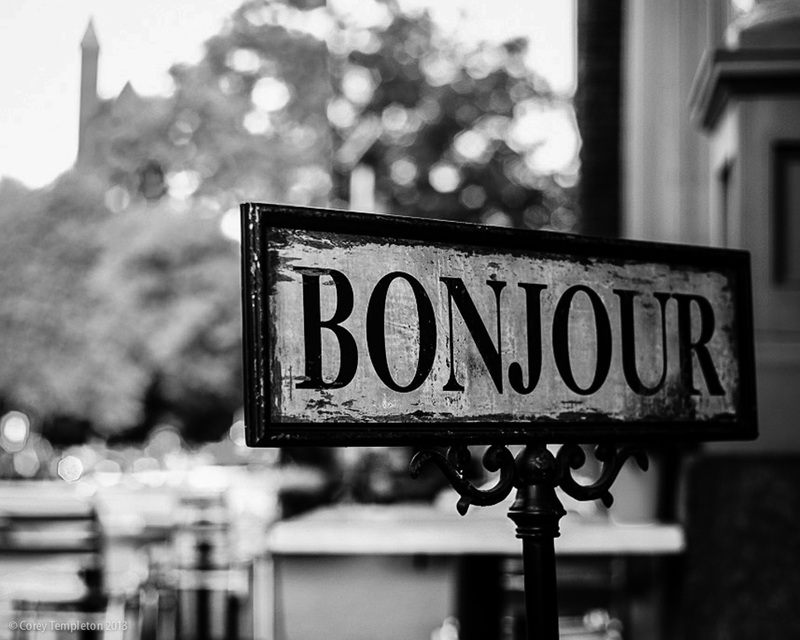 The first thing you have to do is say “Bonjour” or hello in any other language, but make sure to say it. If there is no hostess wait patiently in the entrance for someone to come greet you then ask if there is a table available and follow the waiter. Please do not seat yourself unless an employee invites you to. When you look at the menu you have to options: A La Carte where you choose your dishes individually or the Prix Fixe Menu which is a 2 or 3 courses meal. It may just be called “Menu”, go for it because it usually has the best options for your taste and your wallet. 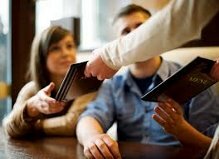 You can be sure that it is what the restaurant cooks the best plus if you compare the prices with the A la Carte menu you are definitely saving. And it is a great feeling to eat a 3 courses menu every time you go to the restaurant. Really, how can the French people be so skinny? At the end of their meal French people like to drink coffee. They also like to eat dessert so they mixed both and made the Café Gourmand (or Thé Gourmand for the tea lovers). This is a platter with a coffee surrounded with 4 to 5 miniature desserts. It looks so cute and it is so delicious. Crème brulée, ice cream, strawberry pie and the unforgettable coffee. 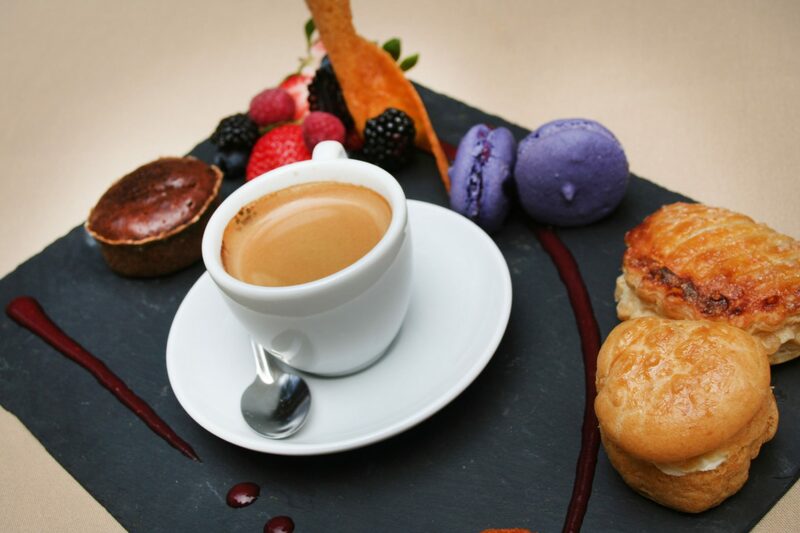 So don’t be a tourist, know what you want and order the Café Gourmand. Especially for lunch French restaurants have the meal of the day called plat du jour, it is always a fresh dish often cooked with what the chef can find at the local market. It is a seasonal meal that you will enjoy! Shop around and read the outside signs to see what each restaurant’s Plat du Jour is. Plus it is always very cheap, what else could you ask for? Unlike in America, French waiters and waitresses actually have a monthly salary. They are not expecting any tips from you since they never receive any. French people may leave their change on the table if they are paying cash. Maybe that’s why they can be so mean sometimes. But if you have had a great service do not hesitate to give something, you will brighten up someone’s day!